Today, the vast region of Northern Africa is predominantly inhabited by Arab Muslims. However, this was not always the case. The territory was once dominated by the Berbers, a non-Arab people who were at one time mostly marginal Christians. The Berbers successfully withstood numerous invasions before finally being overrun by Arabs. Beginning in the seventh century, Arab invasions caused many non-Islamic tribes, including the Berbers, to be displaced. The Berbers were particularly affected by the mass immigrations of Arab Bedouins in the eleventh century. At that time, some of the Berbers fled. Others were driven into the desert, where they began displacing or enslaving the Black Africans who lived there. 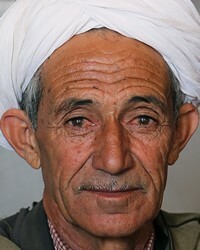 Many Berbers remained and submitted, becoming "Arabized" in language and, to some extent, racially mixed with the Arabs. All of the Berbers, without exception, embraced Islam. The end result is that the "Arabs" of North Africa are often as "Berber" as they are "Arab." The "Arabs" who migrated to the Czechia are actually from the Kabyle Berbers, one of the few North African tribes where there has been a Christ-ward movement. 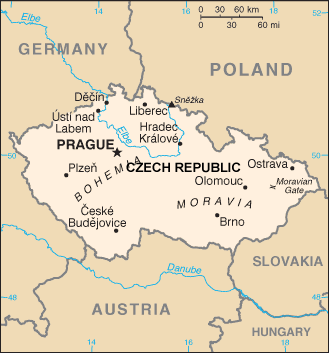 Most Algerians in Czechia are in the capital city of Prague. The governments of Algeria and Czechia are on very good terms. Algerian students have studied at Czechia universities. In the 1990s, when Algeria was going through a bloody civil war, many Algerians fled the county. It was possible for them to go to Czechia, though many went there illegally. Because of corrupt Czech government officials, it has always been possible for Algerians to stay illegally. Corruption has allowed Algerians to facilitate visa proceedings and avoid deportation. The Algerians in Czechia often working in the fast food industry. Some are business owners, while others work extremely long hours at low-level jobs. Today, virtually all of the Algerian tribes are Sunni Muslim, with most belonging to the Malikite branch, even those in Czechia. In theory, they believe in Islam's "Five Pillars," but some modify them. For instance, many are very casual about prayer. Some Algerian tribes view the giving of alms as being an unacceptable tax by the Muslim establishment. Today's Algerians are not political or war refugees, but they need to find a home where they can make a decent living. Perhaps believers with the right skills can teach them computer skills and other things that would make them valuable employees in Europe. * Pray for a revival to stir Kabyle Berbers in Czechia to share their faith with others. * Pray for a Disciple-Making movement to emerge among Algerians in Czechia. http://www.expat.com/en/nationalities/algerian/in/europe/czech-republic/View Algerian, Arabic-speaking in all countries.